Most of us have heard about the disastrous effects of the earthquake that shook Kutch in 2001. Its capital Bhuj, a fascinating walled city with beautiful palaces, bazaars and havelis was so badly affected, that there were talks of bringing the remaining parts of damaged buildings down, to ensure safety. This was the second major earthquake in the region, the first having been in 1819, when the ity had a population of 20,000. The earthquake killed 1140 people and destroyed nearly 7000 houses. No one is however heard talking about the fact that Bhuj is slowly but surely, ‘rising from the ashes’. There has been considerable progress in the city since the 2001 earthquake, with improvements to roads, transport and infrastructure. It has known that Film Star Amitabh Bachhan showed personal interest in the repair work and in advising the local government, to improve the look of some of the city’s important tourist spots Or perhaps it is ‘Bhujanga’ the sacred snake, after whom the city is named, who has brought about this improvement and made ‘Bhuj’ wake up and show its mettle. As in the case of so many other heritage sites, there is an interesting legend about Bhuj’s name. It is said that Kutch was ruled by Naga chieftains in the past. Sagai, a queen of Sheshapattana, is said to have allied with Bheria Kumar to rise up against Bhujang, the last Naga chieftain. Bheria was defeated and in keeping with tradition, Sagai committed sati after the battle. The hill where Bhujang had lived came to be known as Bhujiyo Dungar and the town at its foothill as Bhuj. Bhujang was later worshiped by the people as a snake god—‘Bhujanga’ in whose name a temple was built. It attracts many pilgrims where he continues to be worshipped till today. Bhuj, the city was established by Rao Hamirji in 1510 and was made the capital of the State of Kutch by Rao Khengarji in 1549. Its foundation stone as the state capital was formally laid in January 1548. After 1590, when Rao was forced to acknowledge Mughal supremacy, Bhuj was known as ‘Suleiman Nagar’ among Muslims. The Bhujiya Fort was built by Devkaran Seth, around the 1730s while the city walls built by Rao Godji 1 in 1723, have been attacked six times. In two cases the city’s defence was successful and in four others it failed. The last attack was on 26th March 1819 when the hill fort of Bhujia was captured by the British army, under Sir William Keir. As the capital of the prosperous princely state of Kutch, Bhuj was among the richest towns in the region, whose wealth was derived from its sea trade with the East Africa and Persian Gulf post. The barter of African slaves with India’s textiles was an important part of Kutch maritime trade. Many of these families may still be seen in the area. Bhuj continues to be a major textiles hub attracting millions of people from across the world. A fascinating tourist destination, the city is a real paradise for those who love to shop as the bazaars of Bhuj are known for the region’s beautiful handicrafts and jewellery. 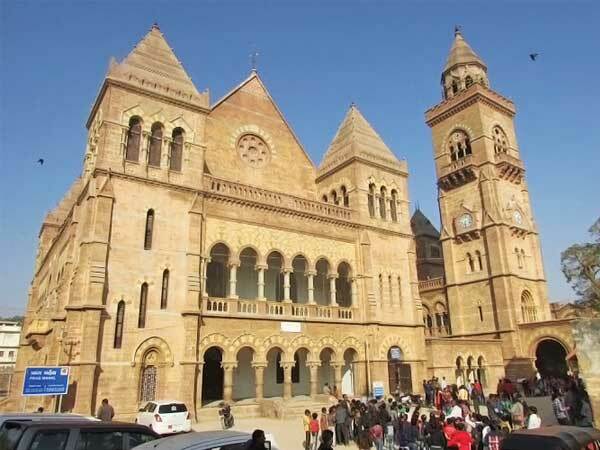 The most frequently visited places for tourists on a trip to Bhuj, are the magnificent Aina Mahal, the bell tower at Parag Mahal, the Kutch museum believed to be the oldest museum in the region and Hamirsar Lake. There is also the Sharadbaug Palace, which was the residence of Madan Singh the last ruler of Kutch, till he passed away in 1991. The royal cenotaphs, the Swaminarayan temple, and the bazaar are unfortunately still in ruins. Aina Mahal, an 18th-century palace was built by Rao Lakhpatiji in 1761. The chief architect and designer of Aina Mahal was Ram Singh Malam, assisted by local mistris. It was constructed with marble walls adorned with gold filigree and glass. The marble walls of the palace are covered with mirrors and gilded ornaments of Venetian glass. The palace was damaged in the earthquake in 2001, however, a portion of the palace which was not so badly damaged has been restored and houses the museum. This includes the royal bedroom with its walls covered with Venetian glass mirrors, a music room, a court room, antique furniture, arms, a palanquin and paintings. were involved in its construction and it is said that their wages were paid in gold coins. The Palace which was severely damaged by the earthquake in 2001, was also and burgled in 2006. The thieves managed to get away with antiques worth millions. Before they left, they damaged all the items that they could not carry away. These included imported chandeliers and statues in the Durbar Hall and the stuffed animal heads in the Main Hall—leaving the majestic Parag Mahal, in a ‘ghostly’ state. The good part now is that the halls in the palace and the tower have been repaired and are open for public viewing. Visitors can now enter the main palace halls and climb up the stairs of the bell tower, which offers splendid views of the city.